the anniversary cards I have recently made. This one is for some special friends. when we visited, over Easter. the gorgeous "love" die for me, for my birthday. A little embossing, inking and faux stitching around the edge, finished off this card! Beautiful anniversary card, it is so delicate and has a lovely romantic feel. Thank you for sharing your work with all of us at Crafty Boots Challenges. Sweet card! I love the pop of color with the die cut. Great job! Thanks for joining us at The Crafters Café! 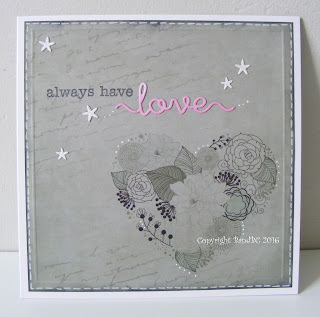 A lovely monochromatic card! Thanks for sharing with Digistamps4joy! Cute Card. Thank you so much for entering our Anything Goes challenge at Through The Craft Room Door. Looking forward to see you again next challenge. I really like how your card turned out! 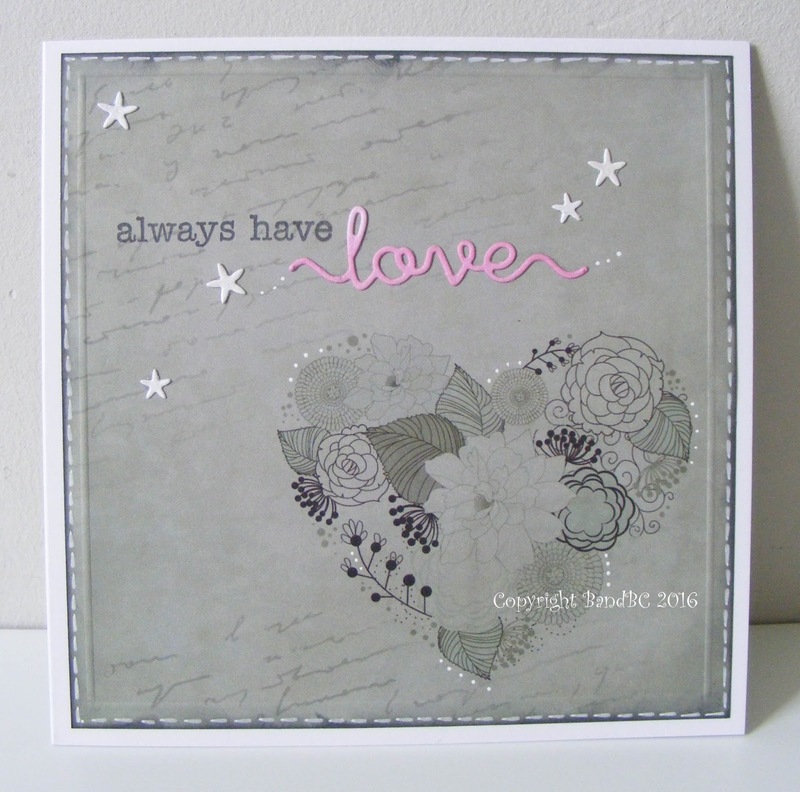 I thought it was so clever of you to have a gray background with the pop of pink on the, "love" sentiment! The stars are such a cute detail and the white stitching detail around the edge is the perfect frame. Thank you so much for sharing your talents with us for this week's Simon Says Stamp Monday Challenge! Beautiful card, so delicate. Thank you for joining us at Paper Creator's Crafts.